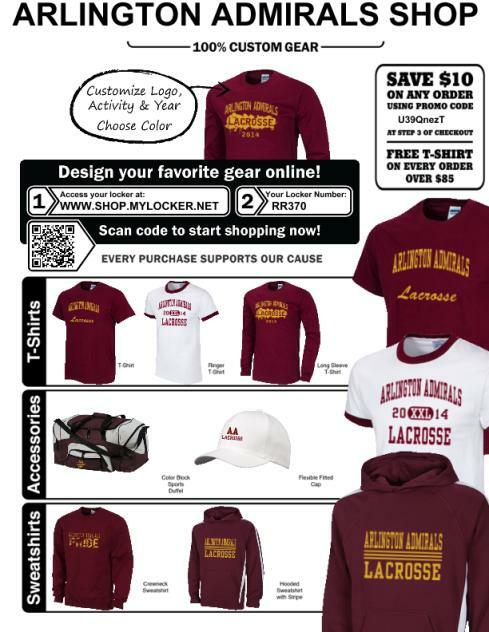 Arlington Langrange Lacrosse Club proudly presents the opening of The Arlington Spiritwear Lacrosse Store @ MyLocker.net. Lets continue building the Arlington-Lagrange Lacrosse PRIDE by displaying our lacrosse gear throughout the Hudson Valley and Beyond! Tell all your family and friends to visit www.arlingtonlagrangelacrosse.com and click on the links to our shop or simply click on the banner above. Great gift ideas for the Holidays and Birthdays! Arlington-Lagrange Lacrosse Club wants to Thank everyone for their continued support of our Arlington Boys and Girls Youth Lacrosse Teams NOW entering our 17th Season! !